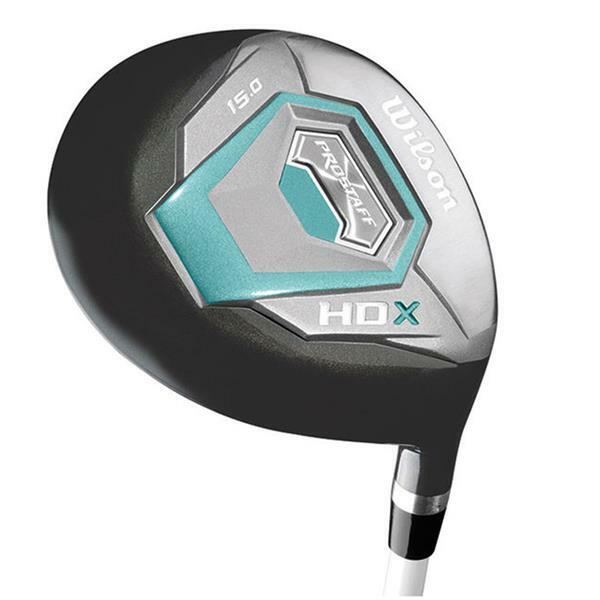 The Wilson ProStaff HDX Fairway Wood is like a custom fit club which has been specifically designed for the begginer male golfer and their unique physical characteristics. The fairway wood has a large face which makes it easier to hit your shots off the tee or fairway, and features high launch distance technology which makes it easier to get the ball up into the air quickly to create more distance down the fairway. The wood is fitted with a lightweight graphite shaft has been optimised to get the most performance out of your game and to help you power through every shot with ease.